Books that you should read...because they're great! When Grace hears that there has never been a woman president, she is outraged. Then and there, she decides that she is going to be the first woman president ever! All the other kids in class laugh at her, until her teacher decides that maybe it isn’t such a bad idea. Grace’s elementary school holds a simulation election, and Grace works hard to make a campaign and win the electoral vote. 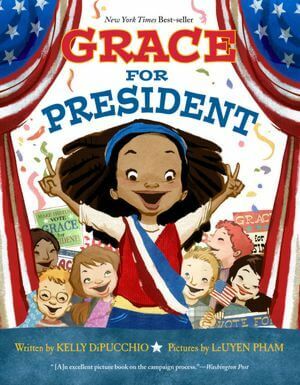 Grace learns a lot about elections, and a lot about herself as well. This book is very educational; I even learned something about the electoral votes! The illustrations are fun and will draw kids into the story, which teaches them not only about presidential elections, but also about the value of determination, hard work, and effort. 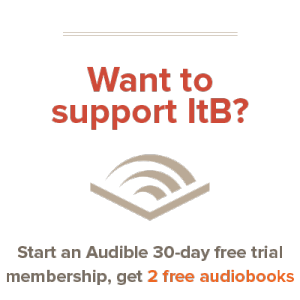 Are you an aspiring author with something to say? Let us know! Just Getting Into the Book is collecting submissions from children, ages 16 and under, to include in our monthly column! If you have a poem, short story, book review, or any other kind of writing you want to publish, send your submission through our contact page. Then, look for it in future issues of Just Getting Into the Book! As a teacher who loves children’s literature, I find myself often getting requests for children’s book recommendations. A lot of times, kids who get hooked on reading tend to stick with a certain series. They love reading! (As long as it’s Captain Underpants or Magic Treehouse…) What’s a parent/teacher to do with these kids? Easy… get them hooked on another series! Here’s my list of recommendations for those bright minds out there who love to read, but can’t seem to find the right book. Check out some of these books, and let us know if you find one you like! A two-page list of good chapter books and series' for middle and beginning readers. Hope you’ve enjoyed this issue of Just Getting Into the Book. Be sure to check back in March for more great content! You can see all issues of Just Getting Into the Book at this link.